If you tweet with poor spelling and grammar from time to time — you might be crazy. That was certainly the implication on the set of “Morning Joe” Wednesday morning. 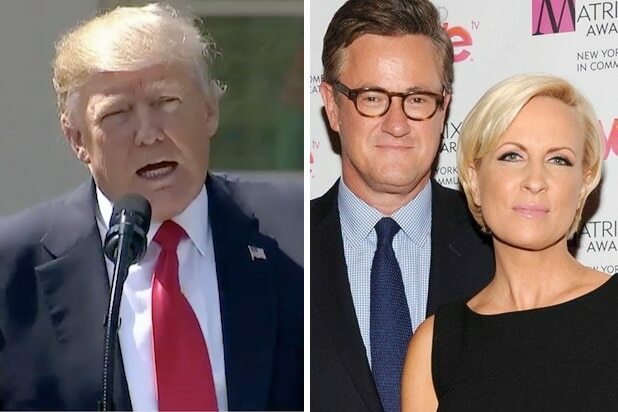 After President Trump released a typo-laden tweet this morning, show co-host Mika Brzezinski suggested it raised new questions about his mental fitness for office. “He’s renewing his attacks on Bob Mueller this morning in writing, in a series of misspelled tweets which should tell you something about [his] state of mind,” said Brzezinski. Brzezinski then proceeded read the tweet with extra emphasis on the misspellings. “Honestly, you have to actually hit the keys to spell the word right and I am thinking that at some point it appears to be a little bit unhinged to be tweeting wildly in the morning about the Special Counsel. Am I stepping out of line here? Questions about the president’s “state of mind” or whether he was “unhinged” have often been front and center of the “Morning Joe” conversation.